Give your styler the love it deserves by keeping it safe in this chic pouch. Beautiful Satin on the outside combines with a clever heat-resistant lining on the inside, allowing you to stash away your styler as soon as you switch it off. A heat-resistant mat, which nattily rolls up around the pouch, provides a safe resting place for your hot styler. Yes, itâ€™s perfect for travelling, but itâ€™s also perfect if you donâ€™t travel and just want a cute bag for your styler. Ultimate ghd Heat proof roll pouch. 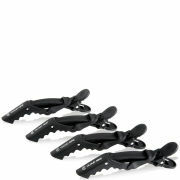 Perfect to protect your styler when travelling or for use whilst styling to avoid damage to surfaces. Made from a heat resistant material, the pouch has two sections to keep your ceramic plates and power cord separate, the detachable heat mat simply clips on the the pouch, and rolls up and stays closed with magnetic fasteners. 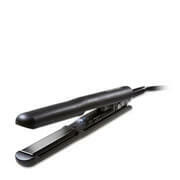 This is suitable for the ghd IV Styler, and ghd Gold Styler or Max styler. 100% Genuine factory sealed. As one of only a handful of approved stockists, we can guarantee the authenticity of all our ghd supplies. Please be aware of fakes being sold online and in salons. All of our ghd products are authentic. RY is an official ghd approved retailer in Australia. Because of this, we can guarantee the authenticity of all ghd products sold on our site. Buying ghd from RY also guarantees the validity of your ghd warranty.